If you’re anything like me, without a plan for meals for the week, life gets in the way and quickly you can find yourself frustrated and eating out way too often. Five o’clock rolls around and you have nothing planned, you’re dead tired, and the kids and husband are pestering you about what there is to eat. Don’t get me wrong, we like to eat out every once in a while, but eating out often isn’t so great for my family’s health or our pocket books. We love eating Panera Bread on Sundays after church. It was beginning to become our Sunday afternoon tradition, but I would almost croak every single time when that $30 tab rang up at the window. ARE YOU KIDDING ME? 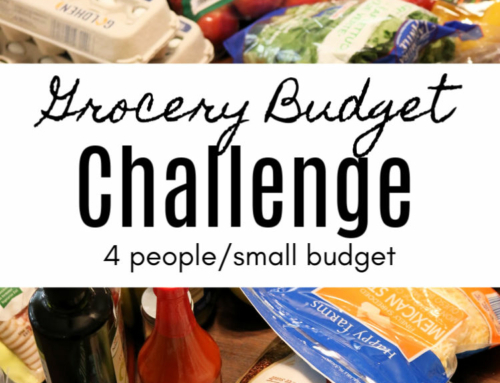 That’s almost a third of our food budget for the week! It just wasn’t worth it anymore, especially since they messed up our order three weeks in a row! Time to have a plan for Sundays too. Now I either plan a crockpot meal on Sunday mornings or make extra from the weekend and eat leftovers. 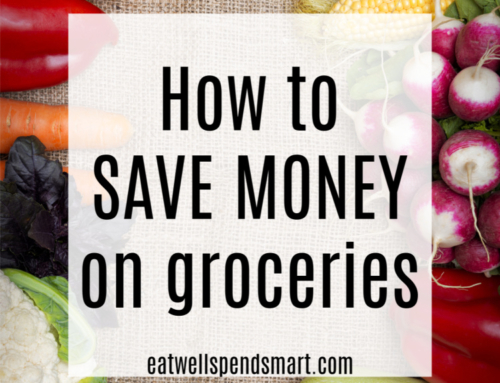 Sticking to a meal plan is hands down my best tip for eating well on a budget, especially if you plan in a way that uses strategies to reduce your food budget. 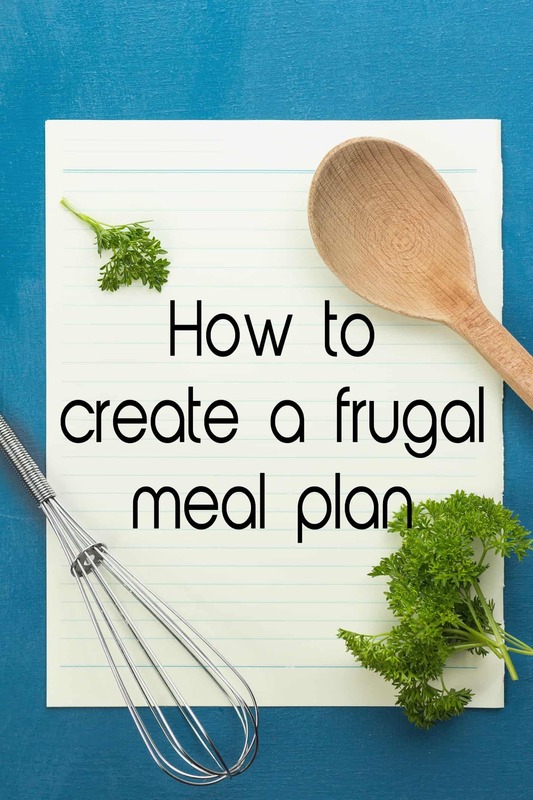 It can seem a bit complicated at first, but once you get used to it, a frugal meal plan can be made in under thirty minutes. Here’s how I plan for the week. I only plan for a week at a time. I know some buy for two weeks or once a month, but weekly is what works for us. We buy a LOT of produce and I just can’t fit more than one week in my fridge. Plus I’m not huge on freezer cooking for the month, so once a week is how I plan. First I made a master list of about 20-25 easy meals that my whole family likes. This is my staples list. We know what we like the best. There’s no reason to re-invent the wheel. Meals on this list include stir fry, breakfast for dinner, crockpot whole chicken, pot pie, tacos, salmon patties, and beef stroganoff. This is going to be my master list, from which I choose most of my meals. 2. Next, I look at my week. What nights of the week do I need a super quick meal? What nights will we need something on the go? What nights can I spend a bit more time in the kitchen? 3. Next I look in my pantry, freezer, and fridge. Is there anything that needs to be used that is on the brink of going bad? What protein is in the freezer? What staples do I have in my pantry that I can make meals from without having to buy a lot of extra ingredients? For example, if I have some leftover random produce in the fridge and some rice in the pantry, I know early in the week will be a great night for a stir fry over rice. 4. This next step is something that I no longer do because we have our own meat in the freezer, have stockpiled my pantry with staples, and eat seasonally, but I used to also look in the local grocery ads for sale prices. If an item was listed for a good sale price, I would use that item in my weekly meal plan and may even buy extra for future weeks. Occasionally I will still use this method. For example, if avocados are on sale for $.29, it’s a great week for Mexican. For the most part though, if you shop in season, especially at places like Farmer’s Markets, you are going to find good prices on produce. Never buy things like strawberries in the middle of winter. They will be tasteless and overpriced. 6. Another thing to consider is what I like to call “connected meal planning.” It’s when one item can be used for two meals or turned into another meal. Examples of this are with a whole chicken I can roast it one night and serve it with mashed potatoes, green beans, and gravy. With the leftover chicken, I could us them in quesadillas or soup later in the week. I might even use a large vegetable for multiple meals. Half of a cabbage can be made into a side dish. The other half I could use in a soup, stir fry, or casserole. This eliminates waste and saves money. 7. Lastly some type of “formula” for my meals works well for me. Let me explain. Right now my formula is 1-2 chicken/poultry dishes, 1 soup/salad, 1-2 beef/pork dishes, 1-2 vegetarian, 1 seafood or organ meat, and Friday night homemade pizza night. Your formula could be something like Mexican night, Italian night, Crockpot night, soup/casserole casserole night, breakfast for dinner night, etc. Really anything you want, but “themes” make meal planning so much easier for me. Just plug in and you’re done. I mostly use meals from my master tried and true list from above, but often will have one new recipe that I want to try from Pinterest or somewhere else from the web. Without these themes, it sometimes takes me forever to come up with something. So keeping all of these things in mind, I just plug in a viola, my meals are planned. The week is much less stressful with a week of healthy easy meals planned for the week, instead of scrambling around trying to figure it out at the last minute. So what about breakfasts and lunches? Good Question. I keep breakfast pretty simple. We generally eat the same things every week. Eggs, bacon, toast, breakfast burritos, smoothies, yogurt, fruit, oatmeal, pancakes, muffins, french toast. This is what my family likes so I try not to rock the boat too much. Most days, we have eggs. I will throw in one other batch item of one of the above and they eat that a couple of days of the week. For example, I might make a large batch of muffins over the weekend, and we alternate eggs and toast and muffins all week. Lunches are very simple as well. 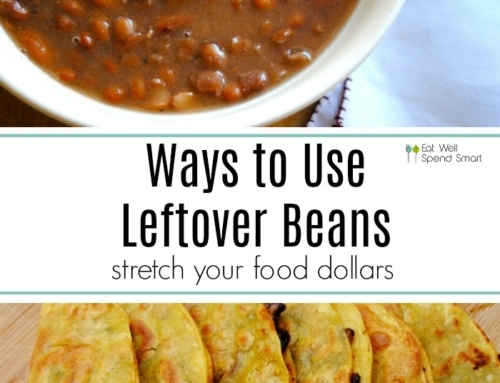 They are almost always leftovers unless there aren’t any. In that case, I will keep vegetables, fruit, hummus, cheese, applesauce, grilled cheese, or PB&J on hand as a backup. What if you still need help? 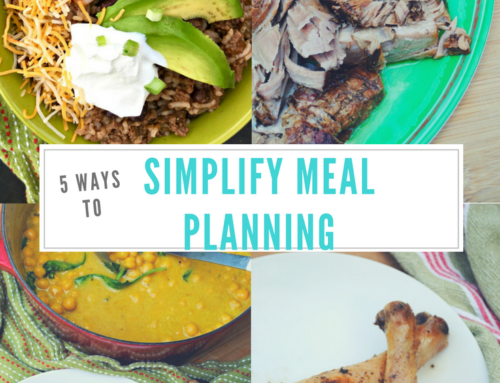 If you read all of this and are still overwhelmed and have no desire to plan your own meals, there are LOTS of resources that do the planning for you. 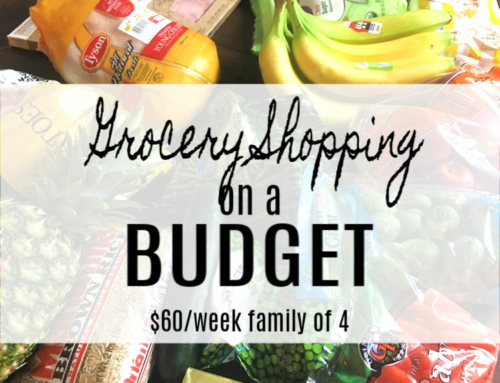 Did you know that I have Healthy Budget Meal Plans you can purchase? That’s right! They are done for you plans that contain all the recipes you need for dinner, prep notes, at a glance calendar, and options for breakfast, lunch, and dinner. 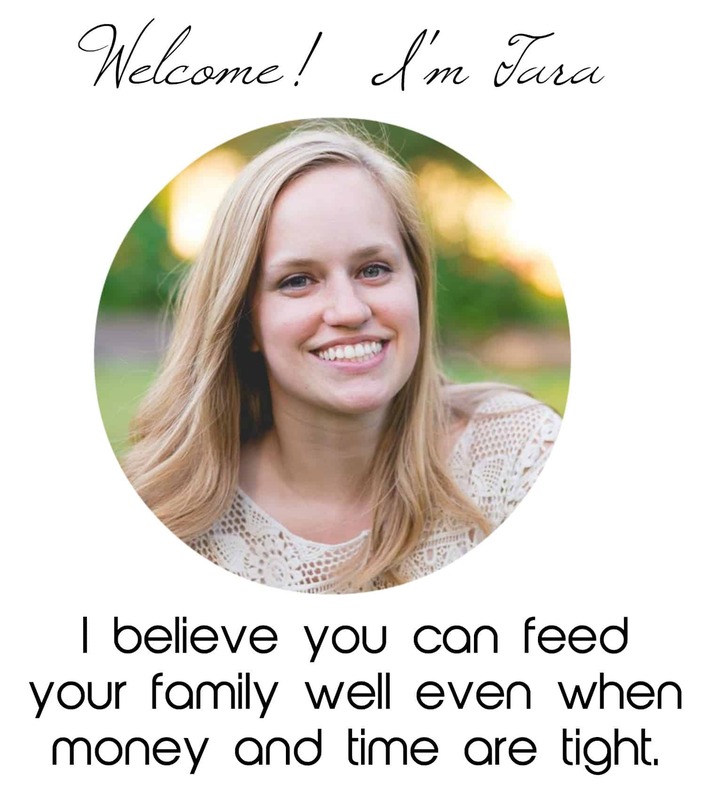 They are designed to be family-friendly, easy, healthy, and budget conscious. I hope you found that helpful. 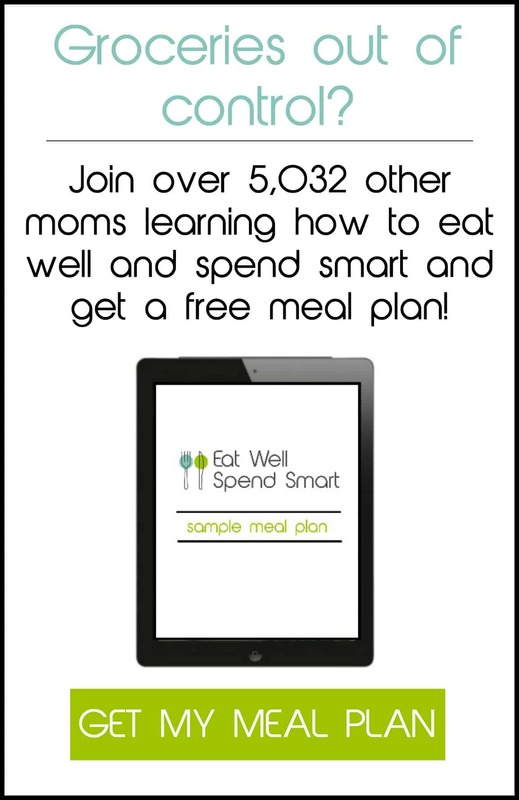 Start meal planning and you will be well on your way to meeting your health goals, eating together as a family, and reducing your food bill. 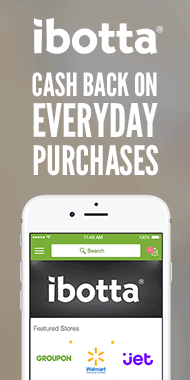 Eatwellspendsmart.com is a participant in the Amazon Services LLC Associates Program, an affiliate advertising program designed to provide a means for us to earn fees by linking to Amazon.com and affiliated sites.